What cord do you use? Is the gekko better than the pound hd cord? Is DCHDMI really worth the 150? Well the Gekko is very good. I was using a cheap VGA converter box beforehand and I lost the Dolby surround sound and had screen positioning issues on the web browsers. The Gekko fixed all that but lacks upscaling. From what I've read the DCHDMI is only worth it based on how you set up your DC. I'm looking to get one, because I have my DC connected to a 4K screen, and the mild analog noise and lack of upscaling is particularly noticeable. The DCHDMI's pure digital output and upscaling abilities will help hugely with this. However if you game on a smaller TV, one that's only 720p or a CRT then apparently there's not much difference other than it looking a smidge cleaner. I've never used the Pound cable but have heard mixed reviews. To be honest the Gekko is cheap, mine was delivered from Turkey to the UK in 2 days, and it's guaranteed quality. I don't see why you'd settle for less. I went with a porttA upscaler. Great quality and cheap price. Out of the 4 converters ive had I'd choose it any day. mrneo240 wrote: I went with a porttA upscaler. Great quality and cheap price. 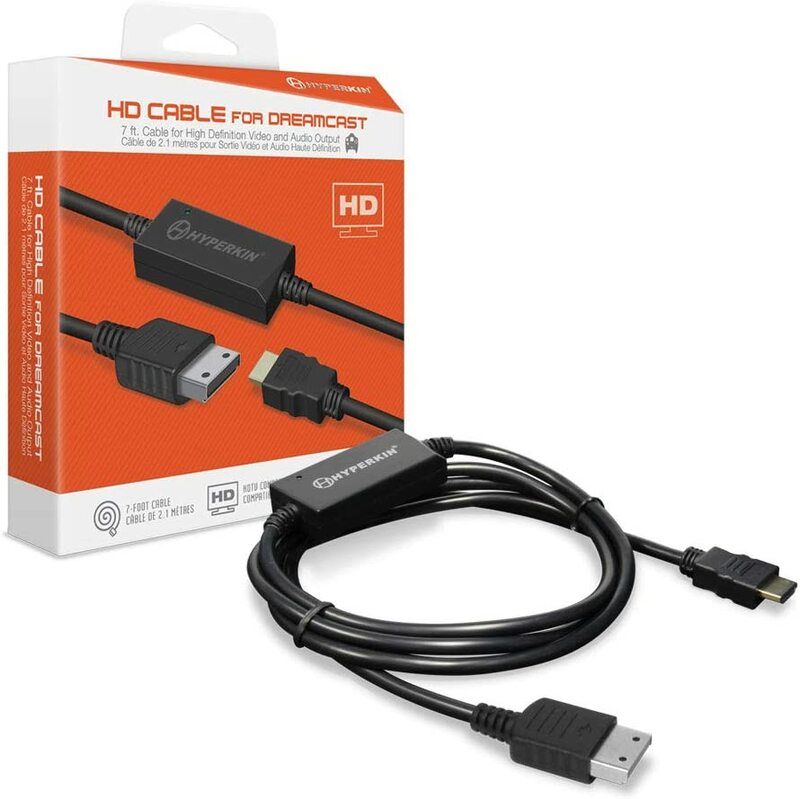 I got my new Hdmi cable yesterday, it is the cheapest one atm to get a simple hdmi connection. Compared to the vga i ised before it is not as sharp/good. But at least now i can hook up my Dreamcast without issues with all tvs. The image quality is slightly worse compared to vga, another small issue (at least for me its small) is that the image gets cut off at the top and button , and i can not adjust that via my tv. Its not by much (circa 1-2% top+bottom) but its there. Would i recommend it ? If you want a cheap hdmi solution yes. It was the Hyperkin brand. They all use same chips. There's barely difference in pound, hyperkin, cheaper and similar cables. Comparable for the DC would be nice. Unfortunately, the market for such a product appears to be too small. Best method to connect to 4k TV via hdmi?